A warm and cosy holiday house for you to get away from it all. Located in a Central Location with town within walking distance. There is a heatpump and a Yunca Fire (all firewood supplied) along with a heat transfer kit that moves all the warm air throughout the house warming the bedrooms. Excellent water pressure so the Shower is awesome! The section is fully fenced and there is good off street parking. Te Anau is our favourite place to get away from it all. No matter what time of the year you are there, there is so much to enjoy in this beautiful part of NZ. Please leave house clean and tidy prior to departure. Thank you for sharing this lovely house. The house was well set up & very clean & tidy. Unfortunately we didn’t have the time to just lounge around and relax in it. The owners were very helpful answering any questions and easy to contact. We were holidaying with two children and they loved the trampoline and the toys/games provided. There was plenty of space for the six of us with adequate kitchen facilities. It was a convenient 15 minute walk into town. I would definitely recommend this property anytime. It felt like home away from home. Thank you to the owners, you thought about every necessity that makes a holiday worth your while. It was clean and comfortable. We appreciated the extra groceries in the kitchen, like oil, flour, etc. The trampoline is a big plus for children. Thank you so much for your booking. We are so pleased you enjoyed your stay. Thank you for leaving our property so tidy. We had an enjoyable few days at this property. It is comfortable, clean and well stocked. The photos accurately reflect the property. 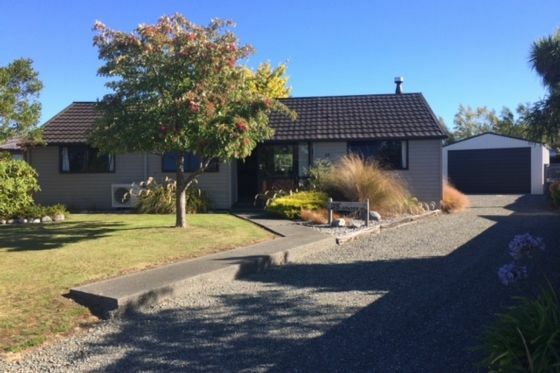 It is walkable to everything in Te Anau and we would have no problem recommending this place to others visiting the area.